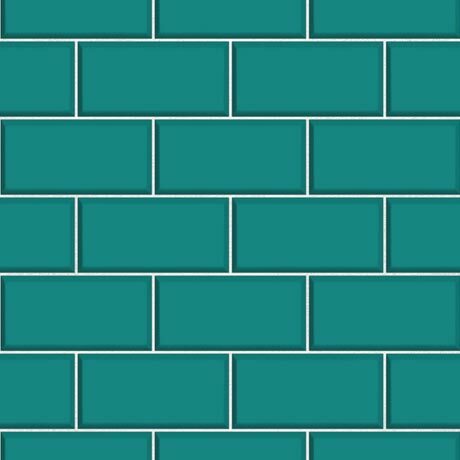 A stylish luxury teal ceramica Subway Tile wallpaper, a embossed, blown vinyl wallpaper with a raised tile effect, perfect for kitchens or bathrooms. Provides a realistic and cost-effective alternative to tiling. Reminiscent of the traditional ceramic brick tiles found in the London Underground.